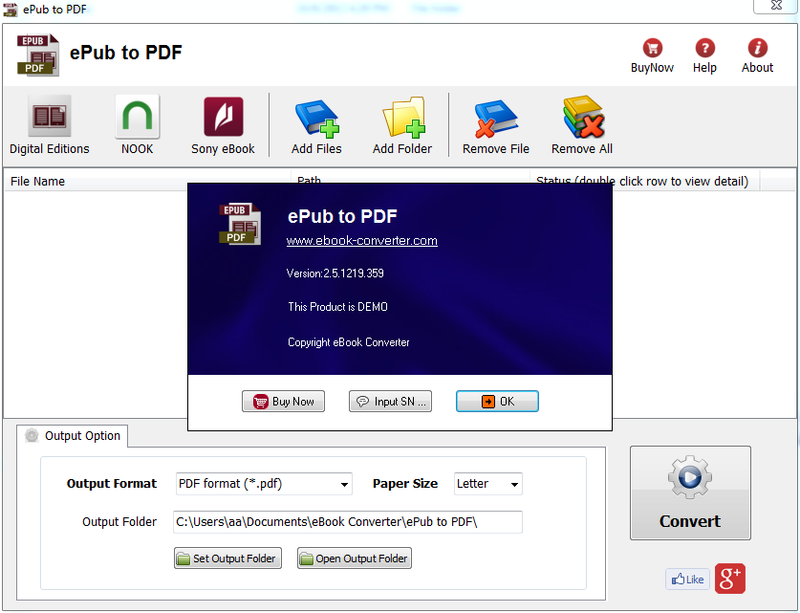 ePub to PDF is to convert DRM or DRM-free ePub to PDF, Kindle, Word, Text and Html format file, read purchased ebook in any device, it support both Adobe Digital Editions DRM and Barnes Noble NOOK DRM ebook, it also support ebook purchased from Google Play, Sony eBook Store, Kobo ebook store and ebook download in Adobe digital editions, it support ePub and PDF format file, it is the most easy-to-use eBook conversion software ever, decrypt DRM protection and convert ePub to PDF, Mobi, rtf, txt and html format with 1-click. 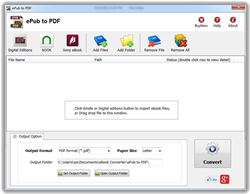 Support DRM ebooks in Google Play,Sony ebook store, Kobo ebook store, Public library ePub PDF acsm files. 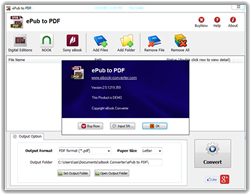 Import Adobe digital editions, Barnes & Noble, Nook, Sony books automatically. 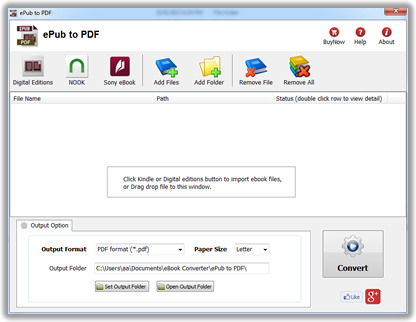 Decrypt and convert Adobe digital editions, Barnes & Noble NOOK eBook. Support Adobe ADE, NOOK DRM protection. Apple ibooks itunes ebook NOT supported.